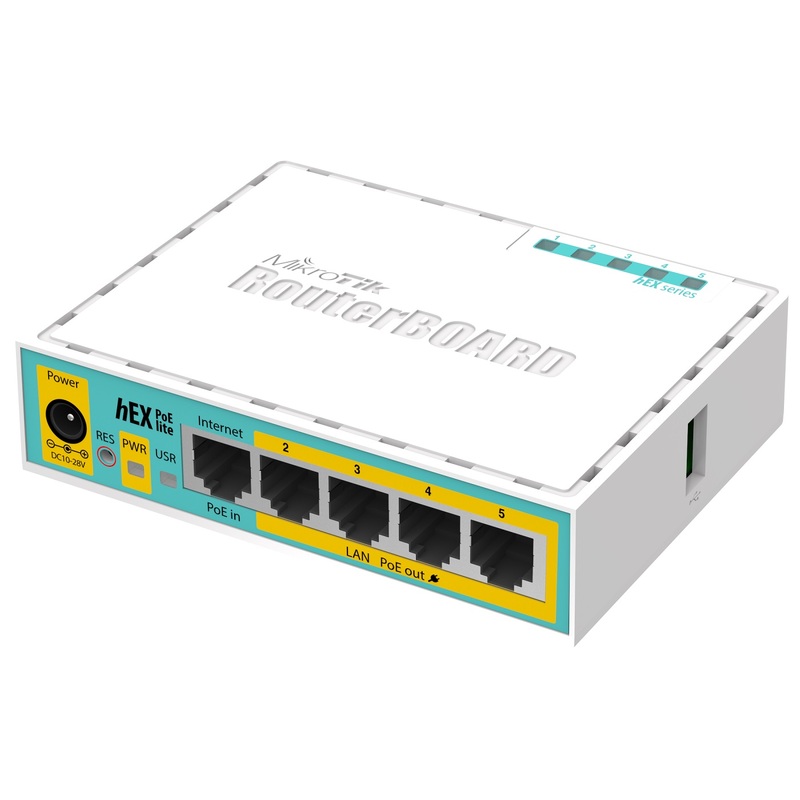 hEX PoE lite is a small five port ethernet router in a plastic case, it has a USB 2.0 port and PoE output. Ports 2-5 can power other PoE capable devices with the same voltage as applied to the unit. Less power adapters and cables to worry about! Max current is 1A per port, Ethernet ports are shielded. It is affordable, small and easy to use. With it’s compact design and clean looks, it will fit perfectly into any SOHO environment.